← A Pledge to America or Look, mom! I wrote an essay! [Brakes screeching] or [record scratches to a halt]. Mr. Beck has offices in Manhattan, so he went to Alaska for a September 11th event with Sarah Palin? As someone who’s lived in the greater New York City area for over 25 years, I’d like to take a moment in this space to refer Mr. Beck to the finger in between my Index and Ring fingers. Going to a September 11 service in Alaska makes about as much sense as going to a Pearl Harbor Day service on the moon; it makes even less sense when your office is IN NEW YORK CITY. Who would do that? A guy that has described himself as a rodeo clown, that’s who. But that’s what I would expect from a guy who said that President Obama has a “deep-seated hatred for white people or the white culture.” Surely Mr. Beck knows that the president went to Harvard. Does it get any whiter than that? Of course, he immediately added the caveat “I’m not saying that he doesn’t like white people.” Right. I’m not saying I don’t like Mr. Beck. What I am saying is that I think Mr. Beck’s radio and television programs are the worst kind of trash and I have no respect for anything the man says or does because what he says is almost always ridiculous (see aforementioned quotes) or disingenuous (see every quote attributed to Mr. Beck EVER). 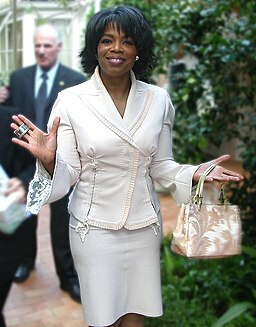 Beck’s staff and loyalists love to compare Beck with Oprah Winfrey. There’s ballsy, and then there’s BALLSY. You know who’s truly comparable with Ms. Winfrey? Nobody. It’d be like comparing Hanley Ramirez to Babe Ruth – more than a bit premature. I know Beck was on CNN doing his thing (I’d love to hear his explanation from how he went from the guy on CNN who insisted our health care system was broken and needed serious reform to the guy on FOX who said everything is fine) before he was on FOX, but he doesn’t have the track record that Oprah has, and Oprah is a black woman who controls a vast empire (and soon, a TV network) in a country that is sexist and racist. (For examples of sexism in America, check out how much women make compared to men for the same job; for examples of racism in America, check out Mr. Beck’s comments on reparations and… well, essentially half of what he says all the time.) In fact, I hope Oprah buys Mr. Beck for her network; I’m sure he’d morph right back into the CNN version of himself right before our eyes. That’s where the Winfrey comparison falls apart. You could never imagine her joking about poisoning the speaker of the house or talking about choking the life out of a filmmaker or fantasizing about beating a congressman “to death with a shovel” (as Beck did for Nancy Pelosi, Michael Moore and Charles Rangel, respectively). Beck is divisive. Obviously, you can hear one’s heart speaking when they talk about beating a member of congress to death with a shovel. Obviously. Ms. Trevethan probably follows Mr. Beck’s shows closely, so how could she confuse someone who speaks with the heart with someone who jokes about committing murder with a garden tool? Let me look at her quote again… Oh, here we go: “divinely guided” – there’s your problem. Folks, I appreciate your spiritualism, but do me a favor – find divine guidance from someone who isn’t a talk show host. I can almost guarantee your life will be better for it – or, at least be that much more rooted in reality. When I started this post, I thought of Mr. Beck as someone I understood: a charlatan, a disingenuous hack who’d gladly, if not intentionally, lead the world to hell in a hand-basket if it fed his massive ego. But this quote… I don’t understand this. “You need to be who you were born to be” sounds a lot like something Elrond says to Aragorn in Return of the King (in the movie, not the book – that’s for you, nerds! ), and it didn’t make sense then, and it doesn’t make sense now. Aragorn was already who he needed to be – he’d been fighting to save Middle Earth for two and half movies up to this point! Life and world shape us; it’s unavoidable. His concept seems to be that life and world can only effect us negatively, and I don’t agree with this. I would argue that it’s how we react to the events in our lives and the world that define us. For instance, I see Mr. Beck do that fake crying thing he does so well on his TV show, and I choose to characterize him as a tremendous tool in my own mind and in this space for all to see. I watched Mr. Beck on television, a negative experience (in my mind) and then use this space to tell people he’s either a faker or an unstable man in need of help, but in any case, not to be taken seriously – a positive reaction. As the article winds on, we learn more about Beck and his life. His mother and the man she was dating died when he was a teenager – the official report declared it a boating accident, but Beck said it was a suicide. I asked Beck how he knew that his mother’s death was a suicide. The man who drowned with her was that same abusive boyfriend, he said. Either the two of them jumped overboard at the same time, or Mary fell in and the Navy man jumped in to save her — and that was unlikely. Why? Beck said he been out on a boat with the boyfriend before, and the man preached to him never to jump in and save somebody who is drowning. It only endangers the would-be rescuer. Throw in a life-preserver instead. Plus, the Navy man’s clothes were found neatly folded, along with his wallet and watch. 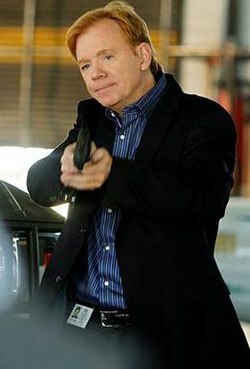 Apparently, I missed the season of CSI Miami that starred Mr. Beck. He embarked on a period of “searching” and self-education. The process was largely haphazard. He tells of walking into a bookstore and loading up on books by a hodgepodge that included Alan Dershowitz, Pope John Paul II, Carl Sagan, Nietzsche, Billy Graham and Adolf Hitler. “The library of a serial killer,” he called it. He even enrolled at Yale, with a written recommendation from an alum who was a listener at the time, Senator Joe Lieberman. He took one class, early Christology, but says he “spent more time trying to find a parking space” than in class and quickly dropped out. Beck met Tania in 1998. She walked into the New Haven radio station where he was working to pick up a Sony Walkman she won in a contest. They began dating. He wanted to marry, and she agreed, but only on the condition that they find a religion together. They shopped around, attended services and eventually settled on Mormonism — inspired in part by Beck’s best friend and radio sidekick, Pat Gray, who himself is Mormon. Gotcha – when you say ‘Seinfeld’-like, you mean fiction based on reality. That sounds like Mr. Beck to me! Beck made the transition from radio to CNN via Joel Cheatwood, who was then the executive director of program development for CNN and Headline News and had previously pioneered the “if it bleeds, it leads” local-news formats, which I hate and I often refer to as one of the worst things to ever happen to television. And the guy who came up with this genius idea and brought Mr. Beck to TV has the last name, “Cheatwood.” Again, you can’t make this stuff up. Leave it to Mr. Stewart to bottle the end: Mr. Beck just doesn’t think before he speaks. He has feelings, struggles to verbalize them, then does before he thinks about it. I used to say things that got me into trouble, and my mom would caution me to think before I spoke – I think I was eight or nine years old. If only I’d had a TV show back then, it would have been huge! I actually prefer that my professors have attended college; I agree that reading a book is a fantastic way to learn things, but is no substitute for the learning experience. And the idea that people learn things from Mr. Beck is pretty frightening. “He is a modern-day prophet doing God’s work,” a man named Lee Hein told me. He resides in Hawaii, where he wakes at 3 a.m. to hear a live stream of Beck’s radio show on the Internet. 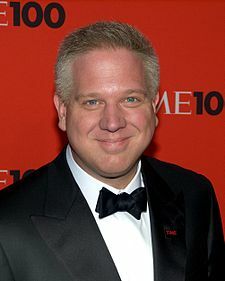 Hein, a plumbing contractor, recently purchased three copies of Beck’s novel “The Overton Window,” five copies of his book “Glenn Beck’s Common Sense” and three copies of “Arguing With Idiots.” He likes to give the books out to educate his friends. Mr. Hein sounds like a dedicated fan, huh? And 3 AM, huh? I’ll go out on a limb and say Mr. Hein is both a white person and retired. Just a guess. I love that he’s the sort of person that gives out books to people he knows with a sort of, “You’re stupid; read this,” attitude. Oh, and “The Overton Window.” Glenn Beck didn’t write that book, despite his name being on the cover in a font larger than the title – and he freely admits this. He had somebody ghost write a fictional novel – Kevin Balfe, Emily Bestler, and Jack Henderson. As far as I know, this has never been done before. Why would it be? It’s an insane idea. An autobiography – that I get. You want to tell your story, your way, but lack the ability to actually write the book… makes sense to me. But fiction is a totally different animal with a totally different purpose. Maybe Madonna will have Lady Gaga ghost write and sing her next album. That would make as much sense as having somebody ghost write your novel. With romantic scenes involving lines like “don’t tease the panther,” it’s understandable that nobody appears to want the credit for writing The Overton Window. Awesome! I desperately want a ‘don’t tease the panther’ t-shirt. How are college guys not all over this? Are the Obamas sending a message by attending church every week? I don’t know. I don’t know. Mr. Beck is raising questions. “I’m just raising questions,” as he likes to say. I guess the question he’s raising here is, “Are the Obamas secret Muslims?” Not that I know of, but thanks for asking – and they wouldn’t be secret Muslims if we all knew, now would they? And what fun would that be? The conspiracy theory is what keeps this nonsense going. 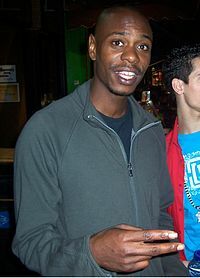 If it helps, Dave Chappelle converted to Islam a while back. Fine, let’s say Mr. Beck is not a great entertainer of fools and believes all of the bile that comes out of his mouth. Isn’t it a bit contradictory to guarantee someone their right to protest via flag burning while practically chasing after the Obamas screaming, “You’re Muslims! Admit it!” Kinda seems like you’re not a big fan of freedom of religion, so I’m a bit confused why one freedom of expression is OK while another isn’t… except the Obamas seem to be expressing that they’re Christian by going to Church every week and by the President referencing the fact that he’s Christian on various occasions. Wait, what was my point? See, I can’t draw comparisons or conclusions from someone who is so inconsistent. Well, he consistently hates on Woodrow Wilson… We’ll get to that in a minute. While Beck’s personal ventures and exposure have soared this year, his television ratings have declined sharply — perhaps another factor in the network’s impatience. His show now averages two million viewers, down from a high of 2.8 million in 2009, according to the Nielsen Ratings. And as of Sept. 21, 296 advertisers have asked that their commercials not be shown on Beck’s show (up from 26 in August 2009). Fox also has a difficult time selling ads on “The O’Reilly Factor” and “Fox and Friends” when Beck appears on those shows as a guest. Beck’s show is known in the TV sales world as “empty calories,” meaning he draws great ratings but is toxic for ad sales. I guess you can only equate the President to Hitler so many times before advertisers get wary – and the “empty calories” projection says more about the makeup of Mr. Beck’s audience than it does about Mr. Beck himself. But who is Mr. Beck’s audience? There’s the faithful, the haters, and the “i want to see what he’ll say next,” crowds, I would guess. Apparently, these people don’t buy stuff… unless it has Mr. Beck’s name on it or features his direct endorsement. Right. Because if you’re educated, we certainly don’t want you in charge of anything. Let’s go with the guy who barely finished high school. That ought to work. Or maybe we can bring in a guy to be President who got all Cs, but went to a good college… oh, right. Never mind. Really, Mr. Beck? You don’t have a notion one way or another if you’re doing harm or good with your… uhm… teachings? Let me help you out. You are doing harm, not to the left, but to the right. Whether you like it or not, you’ve become the face of the right, and we’ve all seen your face: the one that cries, the one that rants, the one that writes on chalk boards, all of them – and they’re all crazy. I know you’re hot right now, but it won’t last; nothing burns this hot for that long, and when it’s over, you’ll leave a George W Bush size hole that Rush Limbaugh will envy forever. And that’s… well, it’s something, I’ll give you that. Oh, and there’s a ‘c’ in ‘oligarchy,’ chief. 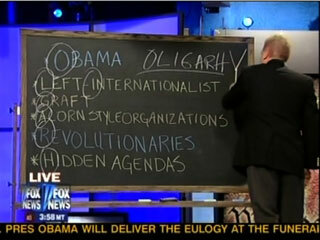 UPDATE 4/6/11: Fox news has announced it will cancel Glen Beck’s show due to low ratings and low ad revenue. Posted on October 5, 2010, in observations and tagged 2001, 9/11, Adolf Hitler, Alan Dershowitz, Anchorage, aragorn, babe ruth, barack obama, beck, Billy Graham, Carl Sagan, Charles Rangel, christian, cnn, cnn headline news, csi miami, Dave Chappelle, Elrond, Emily Bestler, fox, Fox and Friends, FOX news, George W Bush, glen beck, Glenn Beck University, hanley ramirez, harvard, islam, Jack Henderson, Joe Lieberman, Joel Cheatwood, Jon Stewart, Karate Kid Part 2, Keith Ellison, Kevin Balfe, lady gaga, lord of the rings, madonna, manhattan, Mark Leibovich, Michael Moore, Mormon, Mormonism, mr. beck, muslim, Nancy Pelosi, new york city, Nietzsche, oprah winfrey, Pope John Paul II, restoring honor rally, return of the king, Rush Limbaugh, sarah palin, Seinfeld, senator Joe Lieberman, september 11, serial killer, the daily show with Jon Stewart, the glen beck show, The O’Reilly Factor, The Overton Window, Woodrow Wilson. Bookmark the permalink. Leave a comment.